Work-related accidents affect employers as well as employees. Employers should be proactive and mitigate workplace hazards. Accidents can often be avoided by using caution, concentrating on the task in front of you, and maintaining a safe work space. It is up to employers to enact and enforce remedies to keep workers safe. If your employer failed to maintain a safe working environment and you were injured at work as a result of their negligence, you are likely entitled to workers’ compensation benefits. Work with an experienced workers’ compensation lawyer to receive the compensation you deserve under Maryland law. Many employees are simply victims of fatigue and stress. Employees who are tired or stressed may not be paying full attention to the task at hand. Help ease the burden placed on employees by ensuring you have an adequate number of staff employed. Overextended employees are more likely to make mistakes because they are expected to perform high output while under tight deadlines. This type of stress can lead to employee’s taking shortcuts to meet their projected deadline and goals. Supplement busy time periods with part time staffing when possible. Provide your employees with protective safety gear and make sure they are properly trained on using such materials. Protective equipment such as goggles, hard hats, and gloves should be present and required from an employee’s start date. Implementing good housekeeping can help prevent injuries at work. A well-kept workplace means a safer workplace. Proper housekeeping sets the tone for the workplace and serves as an example for employees. Set the right example by focusing on good housekeeping to help aid workplace safety. Make sure to properly inspect work equipment on a consistent basis. Establish guidelines that provide rules such as how machines should be inspected, how often they require inspection, and which employee is most qualified to conduct the inspections. Maintaining properly functioning equipment can help reduce harms caused from preventable equipment malfunctions. Many workplace injuries are caused by inexperienced employees. Make sure to properly screen potential employees to make sure they are qualified to perform the skills necessary for the position they are applying for. Matching employee physical capabilities to the required physical ability needed to safely and adequately perform the necessary tasks is essential. Properly trained and skilled workers can help minimize risk associated with equipment and machinery accidents. Implement a safety training program for your employees. Include this training when hiring new employees as well as refresher courses for existing employees. Giving your employees the knowledge they need to maintain a safe workplace will benefit all. 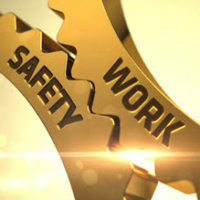 Employees feel safer and more in control because they possess the necessary skills to keep up a safe work environment. Even with proper safety training and a well kept space, accidents can still occur. If you are the unfortunate victim of a workplace accident, our vigilant lawyers can help you. The Law Offices of Steinhardt, Siskind and Lieberman, LLC have years of experience working workers compensation cases. Contact our main office in Glen Burnie or satellite offices in Owings Mill, Annapolis, or Ellicott City for a free consultation. Our experienced workers’ compensation lawyers will help aid you in filing a successful compensation claim.